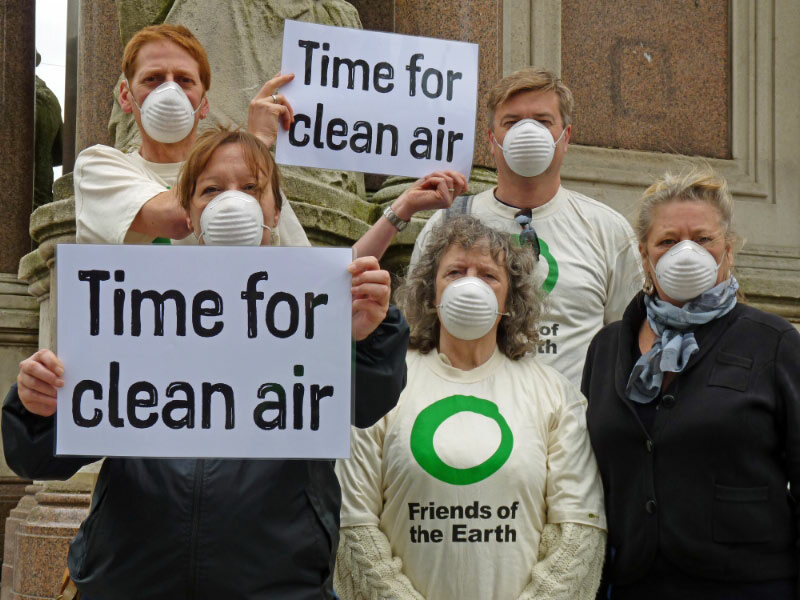 Last week Brighton & Hove Friends of the Earth (BHFOE) launched a campaign calling on Brighton & Hove City Council to take action to significantly reduce air pollution. It is doing this at The Clock Tower, in central Brighton, where air pollution is the worst in the city, nearly twice the legal limit. Despite much of the city centre being declared an Air Quality Management Area (AQMA), for some years now, little action has been taken to reduce air pollution despite its impact on public health. To try and get things moving BHFOE has produced a 5 point action plan to tackle pollution at The Clock Tower that it is urging the Council to adopt. The plan calls for changes to the traffic lights at The Clock Tower to reduce hold-ups to buses, taxis and cycles and to remove private cars from the area. Although there are not large numbers of private cars here, there are enough to cause significant congestion, particularly for buses and taxis from the station. This is not only bad for air pollution but it also increases costs for bus and taxi operators. BHFOE then wants a similar approach taken for other pollution hotspots. “Poor traffic management and too many older vehicles are choking the city centre. With levels of air pollution nearly twice the legal limit, it is time for action. The city centre is vital to the economic lifeblood of the city. It is part of our shop window. We need to be doing better for visitors as well as ourselves. “Air pollution is a largely invisible problem. Yet in the UK it causes thousands of premature deaths every year. It’s a national disgrace that so little has been done to address this problem. However, despite this inaction, there are things we can do locally. It is time for change. It is time for clean air.